While having a lush and patchless lawn is ideal, it’s also beneficial to have one that requires minimal maintenance so you can spend your time lounging and recharging outdoors, not weeding in the hot sun. At Manderley, we understand the value of a low-maintenance lawn that balances beauty and effort. Here are our top tips on how to turn your lawn into one that is easy on the eyes – and your schedule! When it comes to having a lawn that is easy to care for and still vibrantly beautiful, consider drought-tolerant sod such as our own Manderley Less Water Sod. Our Less Water Sod, in particular, is capable of reducing typical watering by up to 50%. This farm-fresh sod establishes quickly and delivers a lawn that’s incredibly hardy, durable, tolerant of high traffic and capable of flourishing in partial shade to full sun areas. Products like our Less Water Seed blends are excellent additions to any lawn yearning for some streamlining in terms of maintenance and upkeep. Our Full Sun/High Traffic blend requires up to 50% less water thanks to its superior genetics and is backed by years of scientific testing. Our Low Maintenance grass seed blend is an even better fit for reducing your yard work. Its high Fine Fescue content, can grow longer and requires less mowing all the while saving you time and money on irrigation. This blend is perfect for low-traffic areas and is a top performer in shadier areas. Many people take their lawnmowers and simply hack away at their grass in a mad dash to trim it to a lower level… but are you trimming too low? There’s actually a “sweet spot” to the height of your mower blade, which is when your grass is left longer at 3 to 3 ½ inches (or even as long as 4 inches with a fescue lawn). This is beneficial towards making your lawn as low-maintenance as possible because longer grass shades the soil, reducing evaporation and reducing the need for watering even further. 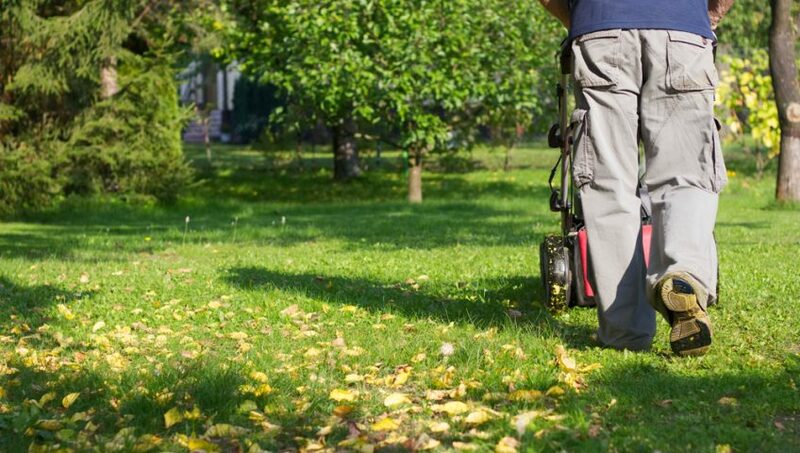 You’ll then only need to mow once a week during growing seasons and even less frequently at other times. Additionally, it’s crucial that you keep your mower blades sharp. Dull ones can violently tear at grass blades, damaging it and encouraging weak patches that can brown and become more susceptible to poor health. By keeping your blades sharp, this risk can be negated and allow for a smooth, clean cut every time. 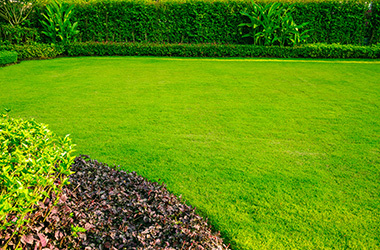 A low-maintenance lawn is just within reach and perfectly attainable if you follow these handy tips. Cutting down on watering and mowing times while ensuring healthy grass allows you to have a verdant and beautiful lawn without having to spend more time tending to it than enjoying it! If you’re interested in upgrading to a lawn that works for you and not vice-versa, contact Manderley or order sod online today!